On Saturday, 16 April, the JLL held its fifth annual All Service Day (ASD). It was the single-most impactful day of the League year, contributing 200 of the 20,000 service hours our volunteer-members provide annually throughout London. Our community efforts focus on breaking the cycle of poverty – a complex issue the JLL confronts with a hands-on approach. Decorating a flat in Putney for a client of West London Action for Children, a charity that supports vulnerable children and families. Holding two confidence-building workshops for women receiving support from Hestia, while also providing childcare for the mums who attend. Preparing and serving meals at St. Augustine’s church, South Kensington, to clients of Restart, an organisation working with the homeless and socially excluded. Revamping a nursery classroom, as well as labelling and organising books for students at Colville Primary School, in Notting Hill. 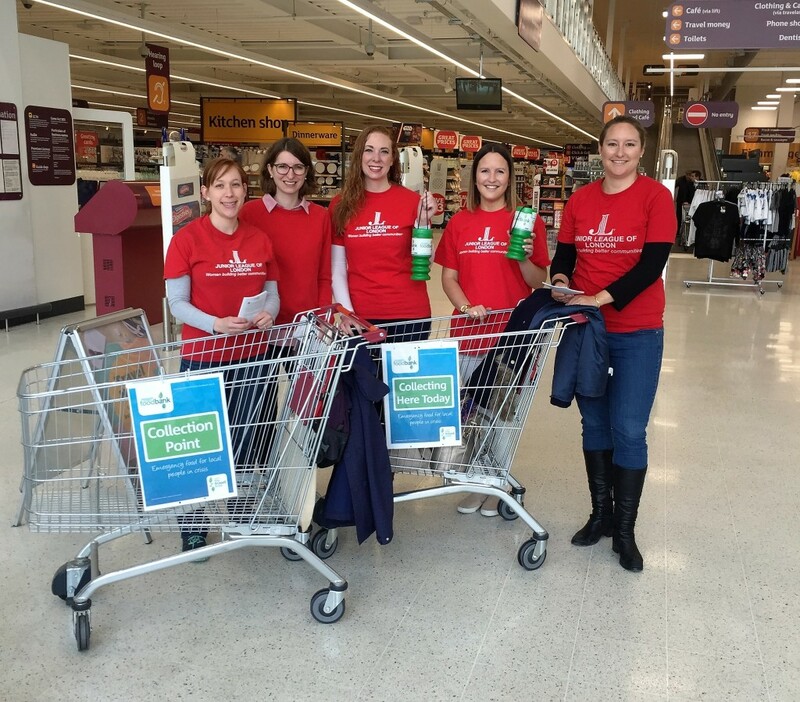 Collecting food donations at Sainsbury’s Fulham Wharf for Hammersmith & Fulham Foodbank. Planting flowers and vegetables at Dashwood House, so homeless women can garden and grow healthy food this summer. Preparing professional clothing for clients of Smart Works. The Junior League of London works with twenty-one community partners, in total. They fall into three “action teams” designed to combat poverty: homelessness alleviation, literacy and education, and employability and life skills. Throughout the year, the JLL provides partner charities with trained volunteers on a regular basis, as well as other resources, as needed. These include school supplies and books for Colville Primary School, toiletries for women’s shelters and craft supplies for children receiving support through various organisations. All Service Day is a special opportunity for JLL volunteers to come together on a single day to make an even bigger impact in their local community. 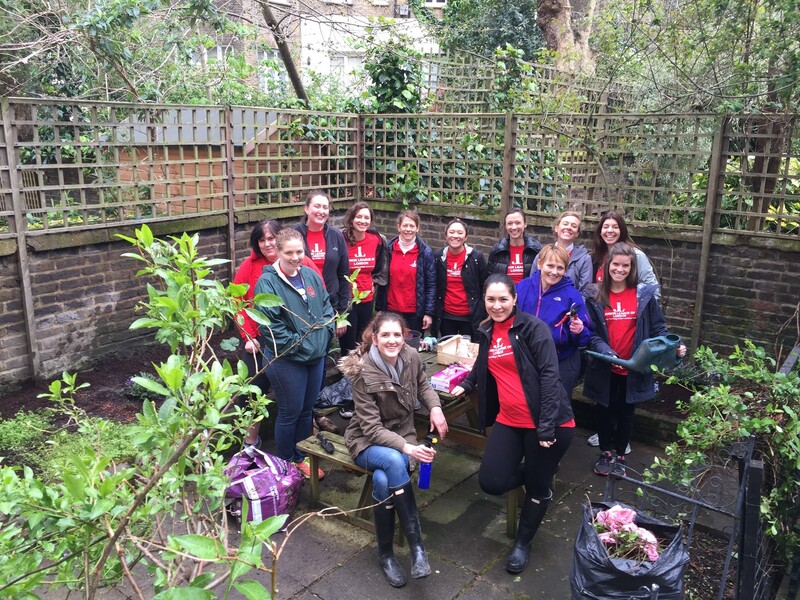 For more photos from the day, visit us on Instagram @JrLeagueLondon, #JLLDoesASD.